Do you want your public parks decorated with religious messaging, paid for by public money? Of course not! Public facilities are meant to be for the enjoyment of ALL citizens, and shouldn’t be used as a billboard to disseminate sectarian religious slogans. But that’s what Ottawa County is proposing to do with Hager Park. The county has announcedits intention to replace a sign bearing a Biblical quote within this park. We need your support to try to prevent this breakdown of the Separation of Church and State. WRITE the Ottawa County Board of Commissioners expressing your discomfort with this unconstitutional action by local government. We need as many people as possible to do this – so please pass this email on to a friend once you’ve sent your email/letter! See below for sample text and contact information for Ottawa County Commissioners. ATTEND the open meeting on this issue THIS TUESDAY, March 24th, to make sure that the voices of secular people aren’t brushed aside in the populist stampede to reinsert religion into public life. Jennifer Beahan, CFI–Michigan’s Assistant Director, will be attending and making a public comment, and we hope you’ll attend and do the same! See below for Meeting Details. The sign at stake is a quote from Psalms 19:1, stating “The heavens declare the glory of God: and the firmament sheweth his handiwork.” The sign was removed from Hagar Park back in December after the Ottawa County Parks and Recreation Commission received complaints. After learning of this, CFI–Michigan sent a letter of support to the Parks & Recreation Director, John Scholtz, for his appropriate and decisive action in removing the sign.  CFI–Michigan also sent a second letter on March 15th, requesting they reverse their decision to re-install the sign. After public backlash from religious individuals, the County Commission has chosen to restore the sign. The county claims it was the park donor’s express wishes in 1967 that this sign be displayed. They also intend to place a second sign, claiming the Bible quote is part of a historical display, and the religious sentiment reflects the donor’s beliefs, not those of Ottawa County. This, however, is a smoke screen. The county is seeking to display a Bible quotation, in a public park, at public expense. Even if it were the wishes of the donor that this sign be displayed, such wishes expressed almost 50 years ago cannot be used to justify Ottawa County violating the First Amendment in 2015. Please join us in our efforts to ensure that this sign is not replaced, and that the rights of all Michiganders, secular and religious, are respected. Please help us make sure that Hager Park is a beautiful, peaceful haven for all to visit, not a place of state sponsored religious proselytizing. Here are Jennifer Beahan’s Public Comments from the Commissioners Meeting on March 25, 2015. Jennifer Beahan, CFI–Michigan’s Assistant Director will be in attendance and will make a public comment. Join her in publicly supporting secular values and the separation of church and state. If you plan to attend:. Please email Jennifer, so she knows to look for you at the meeting. Wear a CFI T-shirt to show your support for CFI and secular values. If you don’t have one let Jennifer know when you email her, so she can bring one for you. Take a minute to also send emails to the commissioners. The proposal to approve the re-placement of Hagar Park sign is on the Agenda for Tuesday’s meeting. The meetings are usually about an hour, but sometimes go longer depending on the agenda. If you plan to make a public comment – be sure to do so during the first Public Comment section near the beginning of the meeting. This way you can make your comment BEFORE they vote on the proposal, as there is not a specific comment section regarding the Hagar Park sign. Plan what you will say in advance – you will only get a few minutes to speak. You can use this email and the sample letter below to draft your comments. Keep all comments respectful and don’t forget to include your personal views and feelings. We encourage everyone to send an email to the Board of Commissioners of Ottawa County before their meeting on Tuesday, March 24th. You can send mailed letter(s) if you wish, but emails will get there faster! Ottawa County Residents: Go to this link for the email/mailing address of your commissioner, in addition to emailing the Board Chairman, Joe Baumann: <a href=”mailto:jbaumann@miottawa.org”jbaumann@miottawa.org. Be sure to state if you are an Ottawa County Resident and/or you frequently use Hagar Park. Add your personal perspectives/feelings to personalize the letter. You can also mention you are a member of Center for Inquiry–Michigan, as applicable. Once you send your email, email us a copy at michigan@centerforinquiry.net. I am writing to you regarding the planned return of the sign bearing the Biblical verse, Psalm 19:1 to Hager Park in Ottawa County. The placement of such a sign sends the clear message that the government of Ottawa County is promoting the religions of the Bible. Hager Park is a public park, for the benefit of all people. This sign sends a message to secular Michiganders, as well as Michiganders who adhere to a religion other than a Judeo-Christian one, that they are lesser in the eyes of the Ottawa County government. This message is not only an inappropriate one to send, but it is also a violation of the First Amendment’s Establishment Clause, which guarantees our religious freedoms and the separation of church and state. Such a violation would surely leave Ottawa County open to an expensive and protracted legal battle. I hope that Hager Park remains a beautiful, serene place for people of all faiths and no faiths to visit, to exercise, and to walk their dogs. I respectfully ask you to change your prior decision, and recognize a sign promoting a particular religion has no place in a county park.